About Me: Career China business specialist. My passion is to understand and explain the way China and the West relate to each other, through the universal language of commerce. I began studying China in 1981; moved to China (Xi'an) in 1985; married into PRC family 1986; lived and worked in China 18 years, through 2003, when I returned to USA. To cast US-China business as a sport, I spent ten years as a "player" (on staff for US-invested companies, in import/export, sourcing, buying agency, market research) and ten years as a "coach" (in management at strategy consulting, private equity, public relations firms in China, also developing business plans, running start-up and turnaround projects.) Now I'm somewhere between a coach and a commentator. A "player" tells you the latest tactics, a "coach" talks about resources and strategy. I can still do the "coach" role but everything I see ends up as a data point in my ongoing commentary about how and why Chinese and Westerners misunderstand each other and what we can do about it. About The China Business Network: For every business with goals in China, no matter what unqiue skills and resources are needed to reach those goals, the players and coaches are out there. The trick is finding them, and that's what The China Business Network is for. The bridge that separates the business cultures of China and the west is longer than any one person can span - It Takes A Network, so here's hoping we all find each other. As CEO, I'm responsible for a bringing a vision to life. The goal: bring the whole community of business professionals active in China into a credible, supportive, neutral, and useful space. The growth of China's economic relations with the west over the past 30 years have created a virtual community of millions of people all over the globe. All of us have our personal networks, specific skills and relevant knowledge to contribute; we also share the common challenge of navigating the vast landscape to locate the best qualified partners, customers, mentors, employees, and resources in general. 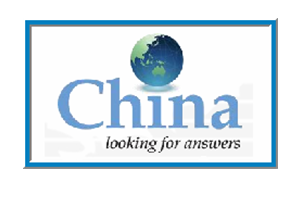 The China Business Network is a start-up, founded in January 2008. With my co-founder Christine Lu, I'm working to assemble and organize the technology, funding, processes, partners, people who will not only aggregate and index the sector, but bring services to support all China business people in their professional and business development. Strategy and communications consulting for US-based companies with new or growing businesses in China. Communications and project management training for multinationals with significant numbers of staff in US and China. Advisory to Chinese organizations expanding globally. Represented PR Newswire's China related services to major corporate accounts throughout the USA. Established Burson-Marsteller industry analyst relations practice in Asia Pacific. Client lead for Alcatel Asia-Pacific, Corning, and other accounts. Supported marketing, government relations practices on key engagements. Led primary research and naming projects. Established Shanghai office, project management prodecures, admin, HR, marketing and finance functions for 200-person web development/systems integration practice. Implemented a major merger with a division of the parent company ChinaDotCom. Client lead for Sony. Created the company's rebranded name, Ion Global. Managed all operations and financial performance of 30+ store fashion retail business holding distributorships for USA-branded costume jewelry in Hong Kong, Shanghai, Beijing, Shenzhen, and seven other Chinese cities. Commercial due diligence, implementation support on $30 million investment in China's largest tannery, a state-owned enterprise. Commercial due diligence on $10 million investment in greenfield flexographic printing plant. Coordinated Asia-wide sourcing for Office Depot and varous hard goods and soft goods sourcing programs for department stores in USA and Australia. Trained through rotations in QC, shipping, finance, IT, client relations. Supported initiatives to expand operations to Shanghai, Jakarta, Delhi. Led project to redesign company's marketing brochure and, reporing directly to CEO William E Connor, handled various other reports and projects for the corporate HQ in Hong Kong. Market entry strategy - extensive research and analysis on demand, distribution, pricing and consumer/industrial decision making behavior for multinational clients. Lead for Coopers & Lybrand's retail practice in Asia Pacific; managed ongoing program of primary, qualitative and quantitative research on China' s retail sector. Author of study on China retail for China Store Age. Conducted research and analysis for State of International Business" benchmark study of 500 American firms, supported PR outreach for the report. Supported client projects related to technology transfer, trading, investment in China. Revenue responsibility for start-up trading company. Identified products and customers, negotiated sales, developed technical/inspection standards, arranged shipping, insurance, and customs clearance, handled daily communication with factory liaison staff. Chinese contemporary history, art, language, literature were my focus within the East Asian Studies department. The University of Pennsylvania Chinese Studies program, perhaps influenced by the Wharton School, began teaching Business Chinese when I was a sophomore, in 1982. In China, few business have been around long enough to drink legally. Being able to function in a start-up - or better yet, take revenue and or management responsibility at a start-up - is a core competency. The China Business Network is the tenth business I have either started or joined as management during the company's first year. Here's the list: Beijing Trade Exchange, Coopers & Lybrand Consulting; Richina Capital; Richina Leather, Richina Fashion, Quest Sports, Yue Sai Kan Apparel, Ayzia.com, Web Connection/Chinadotcom. It's hard to do business with the Chinese if you don't have a strong understanding of money. Being able to construct and read financial statements, and knowing what drives the macro and micro issues of banking, capital markets, finance and industry in general is a basic requirement of being considered useful or intelligent by the Chinese. Of all the compliments I have ever recieved, there is none I treasure more than when a Chinese media buyer said, in Shanghainese, to his associate, "be careful with this one, she isn't like other foreigners, she can do math." It was extravagant praise and to this day I wonder if he said that on purpose to put me off guard. I once played Monopoly with a group of neighborhood kids in Shanghai. They instinctively started cross-holding their properties, working out their future cash flow splits based on negotiated valuations and interest rates. They ran rings around me and the investment banker friend who had organized the game in the first place. Sizing, segmenting, and understanding the industry structure, players and dynamics of a market is my idea of fun, especially when the market is in China. Over the years of my evolution from student to businessperson, I have come to love sourcing, tabulating, and analyzing quantitative and financial data. Designing and implementing qualitative research - understanding behavior, motivation, psychographics, what makes people tick - is one of my favorite aspects of understanding a market. I've had the opportunity to lead a number of research programs that called for deep digging into the habits, attitudes, and purchase behavior of Chinese consumers. I started studying Chinese language in 1981, when I was 17, and I've used it more or less every day since then, including two decades when I was married to a native speaker. When I'm warmed up, my command of the spoken language (Mandarin, Putonghua, or "Chinese") is almost equal to my English, and on the phone, my accent gets me mistaken for a native. Reading Chinese is a lot slower than English for me, but I get through mainland Chinese newspapers and short stories without a dictionary. I also speak Cantonese, the language of Hong Kong, Guangdong (also known as Canton) province, and many Chinatowns in the USA. At this point my Cantonese is impressive for about fifteen minutes, then my accent goes "off" and I have to go back to Mandarin.